Do you know what PMAY is? It is Pradhan Mantri Awas Yojana launched by our Prime Minister Narendra Modi Ji. What will be the benefits of PMAY scheme? If you want to know more about the PMAY scheme then have a look at the information given below. As we all know that the population of India is increasing rapidly day by day. It is predicted that the India’s urban population will reach to more than 814 million people. The biggest problem that India will face is affordable housing, cleanliness, development, and safe environment as well. The Prime Minster of India Narendra Modi has taken an initiative to improve the housing facility all over India by launching the “Pradhan Mantri Awas Yojana – Housing for all by 2022”. The PM Narendra Modi launched the PMAY scheme on 25th June 2015 at Vigyan Bhawan, New Delhi. The Government of India will undertake to develop about two crore houses till the year 2022. The houses developed under this scheme will have a central grant of about Rs 1 Lakh and up to 2.3 lakhs as well. It will be a part of 6.5% interest rate subsidy scheme. According to the opening estimates, the “Pradhan Mantri Awas Yojana (PMAY) – Housing for all by 2022” will cost the central government around Three Lakh Crore in next seven years. After Atal Pension Yojana, Suraksha Bima Yojana, Jeevan Jyoti Yojana and Smart Cities, Pradhan Mantri Awas Yojana is new Scheme by Narendra Modi Government. 1. The Pradhan Mantri Awas Yojana (PMAY) make sure that the benefits will be given to the women, economically backward groups of Indian society, scheduled castes, and scheduled tribes. 2. The government of India has decided to look after for abandoned groups in the country such as transgender, widows, member of lower income group, urban poor people, and SC/ST people to get inexpensive housing scheme. 3. Apart from these groups, members of society who are out of home, seniors, and physically challenged people shall also get preference in this scheme. Isn’t it great? Every individual will have their own houses with affordable rates. 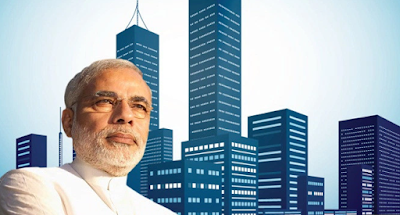 The PM of India has also launched a scheme to build 100 smart cities in India in next five years.